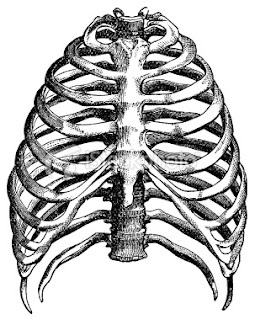 No, this post will not be be about where your diaphragm is not, or whether you should develop your "core" muscles—a word that always makes me think of apples. Nor will it discombobulate you with the names of those muscles. None of that mental clutter. I have something else in mind. Something much more radical: a practice that comes from a student of Giovanni Battista Lamperti who prudently recorded it in her lesson book. Inhale gently through your nose with your mouth closed for 18 seconds. Exhale gently through your nose with your mouth closed for 18 seconds. Avoid breathing high into your chest/throat and low into your abdomen. That's it! Nothing more complicated than that. What does this practice reveal? That the student may be prone to grasp or gulp for air; that they may have more trouble on the exhalation than on the inhalation—and vis-a-versa; that singing doesn't involve pushing air out; that stillness is quality of mind; that freedom comes from discipline; that there is an intimate connection between the lungs, ear and face. I could go on (and I will at another time), but that's enough for now. The author of this practice also said not to talk too much about it in the beginning. Wise words if you ask me.